Remaining active is important as you age. Adaptive games and activities for senior citizens allow those with physical or cognitive limitations to enjoy a stimulating and active life. This can help you to stay healthy and keep your mind engaged. Explore the different adaptive games, puzzles, and activities seniors can try. Card games are a great option. There are playing cards that have large printed numbers that make it easy for seniors. The Senior Store offers adapted large print playing cards that are the regular size with numbers that are 1-½ inches big. To make it even easier to recognize the cards, each suit is in a different color. These E Z See Bicycle player cards are also available in pinochle or standard bridge decks. Tabletop card holders are a nice option and can hold a card hand spread out in a fan style. Jigsaw puzzles with large pieces that are not only easy to see but easy to hold and handle. These puzzles are perfect for seniors who are visually impaired or suffer from limited dexterity from arthritis. 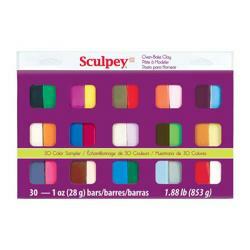 In addition to these puzzles, the company also offers several jigsaw puzzles with extra large sized pieces. 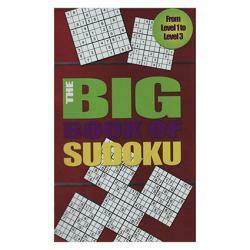 A Sudoku puzzle book in large print. Large print word search puzzle. Scrabble that contains large print, braille letter tiles, and a tactile playing board. The board itself has a raised outer border to keep the tiles in place. Dominoes that are made of heavy-duty white plastic and have raised bold black dots to help identify the playing pieces. Monopoly that contains extra-large playing cards with braille and large print. There is an overlay on the game board to help identify the properties and various spaces. The perimeter of each game space is labeled in braille. Chinese checkers that have differently shaped colored playing pieces and a wooden board with holes for insertion of the playing pieces. There are also adaptive versions of Sudoku, chess, backgammon, cards, dice and bingo, just to name a few. Bingo has options for the hearing impaired. One option is large calling cards with a yellow background that can be held up for those who can't hear the numbers being called. 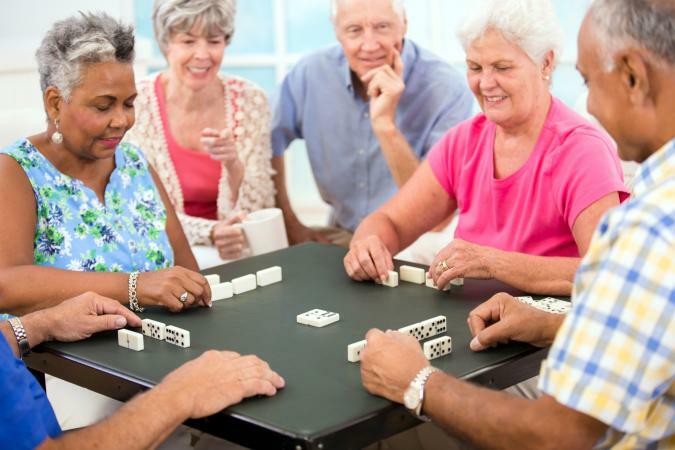 Most board games, card games, and video games are suitable for hearing impaired seniors. Other options for those who are hearing impaired but active with good mobility include playing pool, foosball, bocce ball, shuffleboard, and pickleball. 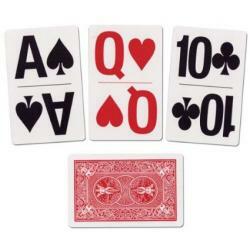 Card games such as rummy, bridge, pinochle, canasta, cribbage, war, crazy eights, and UNO. Board games such as Monopoly, Scrabble, Taboo, Yahtzee, Connect 4, checkers, chess and backgammon. Interactive or competitive games such as bingo and bunco. Video games such as Candy Crush Saga, Bejeweled and Gummy Drop. Word or number games such as crossword puzzles, word searches, and Sudoku. For seniors who love playing games on the internet, there are many websites that provide games, puzzles, and activities that are accessible to people that are blind, visually impaired or have low vision. Most arts and crafts are easily adapted for seniors with special needs. For example, seniors who love creating things might enjoy working with polymer clay or using large size tiles in a mosaic project. Someone who loves painting can work with a larger sized brush, or enjoy the fun of finger painting. Seniors who love needle crafts can use thicker yarn and larger size knitting needles or crocheting hooks. Use adaptive gardening tools to create a tabletop or container garden. Choose garden tools with long reach handles or easy grip handles that are angled to relieve discomfort and strain. Fishing enthusiasts will love Vans EZ Cast for seniors that have limited arm or hand movement. There are many activities and game options available to keep seniors busy regardless of impairment or limited mobility. It is important that seniors keep their minds and bodies active and enjoy spending time with their family and friends as well.